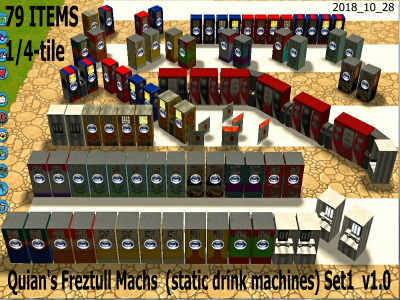 Description: A large set of soda and beer vending machines in many positions. Includes signs and trash bins. Thank you Shyguy, for adding this set to the CS_Depot archives. Todate, it has been downloaded 14 times since release. Hope you get good use of this set.